Ready for a spooky spinning adventure on Ghost Slider Slot? Guess what! As you hop on this graphically stunning 5 reels and 10 paylines slot by Blueprint Gaming, you will be propelled into a ghostly atmosphere packed with some enthralling symbols. And as you spin the reels, they might reveal some potential winning combinations that are worth the detour. Come along and join in the adventure for some likely incomparable spinning adventure. To get you started on Ghost Slider, all you must do is to adjust your betting settings according to your preferences. On this online slot, you will find its 5 reels packed with gobs of symbols such as a spooky house, a candelabra, a spell book and a clock. The usual playing cards such as 9, K, Q, J, 10 and A that make up the lower values. Bet Levels: There are no Bet Levels. Amount of Paylines Selection: All the 10 paylines on Ghost Slider Slot remains fixed. Coin Values: The wild card symbols are represented ghost 1, ghost 2 and ghost 3. They can substitute for any symbols on the reels to create the highest win on a win line on Ghost Slider Slot. The wild card symbols are represented ghost 1, ghost 2 and ghost 3. They can substitute for any symbols on the reels to create the highest win on a win line on Ghost Slider Slot. On this outstanding slot machine, you can win up to 50 Free games and they all depend on the number of repetitions. 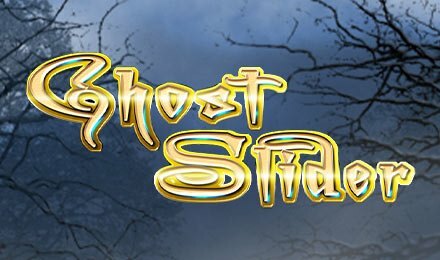 No stakes have to be paid on Ghost Slider Slots for the free games. To launch the free spins, you have to land at least 4 winning combinations in a single row. Now, each of your win on this spooky-themed slot machine is marked by a skeleton that is located above the reels. If you get 4, 5, 6, 7 or 8 successive wins you will be granted with 10, 20, 30, 40 or 50 Free spins respectively. You can be bestowed with additional spins during your spinning round if you land 4 or more successive wins once again. Ever heard about the card gamble feature? The card gamble feature is selected by simply clicking on the Gamble button that is marked with the card symbols. On the other hand, you can select the ladder gamble by clicking on the Gamble button that is marked with the ladder symbol. But how does it work? When it comes to the card gamble, you have to bet on the colour that you think the next card will be. You have two choices. You can either bet on black or red with its corresponding buttons. Now, in the event that the colour of the card that was drawn matches the colour that you’ve chosen, your winnings will then be doubled respectively. You will be awarded the Top win.